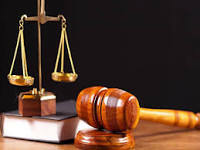 MWENEZI - Two Mberengwa men who were recently arrested at Ngundu Business Centre after being found in possession of a loaded pistol were last Friday denied bail and remanded in custody to February 8, 2019 pending trial. The pair, Forgive Mapfumo (24) and Cleopas Moyo (24), stood before Mwenezi magistrate Mandlenkosi Ndlovu facing charges of unlawful possession of a firearm and pleaded for some time to seek legal representation. It is the State’s case that on January 24, 2019, accused one, Mapfumo who was at Ngundu Council beerhall was found in possession of an SPI 9 millimetre pistol which he claimed he wanted to handover to Moyo who is the second accused. The pistol was loaded with one round of ammunition and the two were arrested after they failed to produce any firearm certificate. Caroline Pasipanodya appeared for the State.